Experts are looking into the possibility of moving space rocket launches under the Sea Launch project to Brazil, Deputy Prime Minister Dmitry Rogozin told the Rossiya-24 news TV channel in an interview. “The first network of signal calibration for our navigation system GLONASS is already in place there. In a word, we may establish a long-term friendship with Brazil in the area of high technologies,” Rogozin believes. 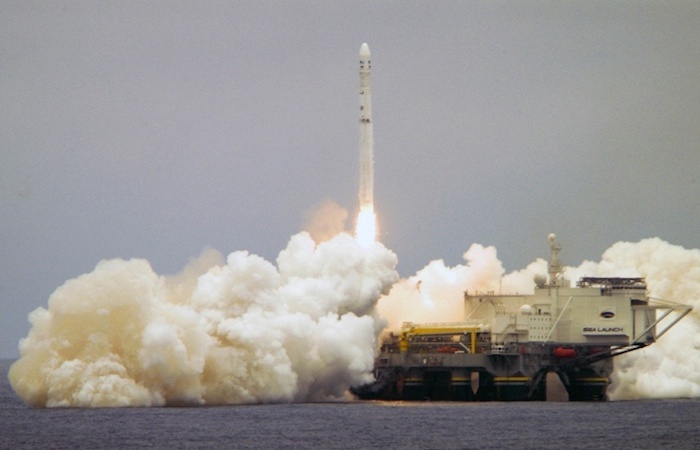 He recalled that the Sea Launch floating launch pad had been designed and built specifically for the Zenit rocket — a joint product of Russia and Ukraine. “Now, after the latest events in Ukraine, one may forget about industrial production in Ukraine, let alone high-tech manufacturing. It’s dead. As a result the project is suspended,” Rogozin explained. “Moreover, the floating launch pad is close to US shores, near Los Angeles. Naturally we will take it away for our own use,” he added.